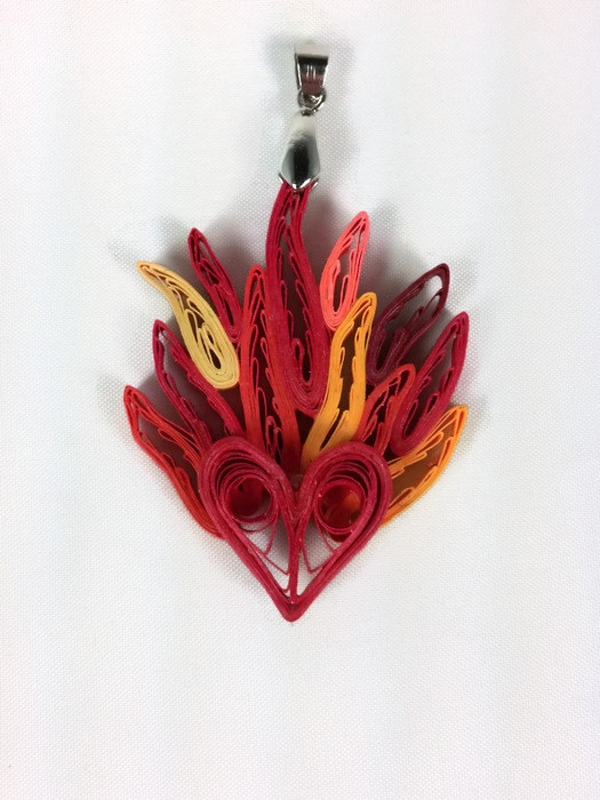 Whether your lady is romantic or religious, this quilled heart on fire is the perfect anniversary gift. 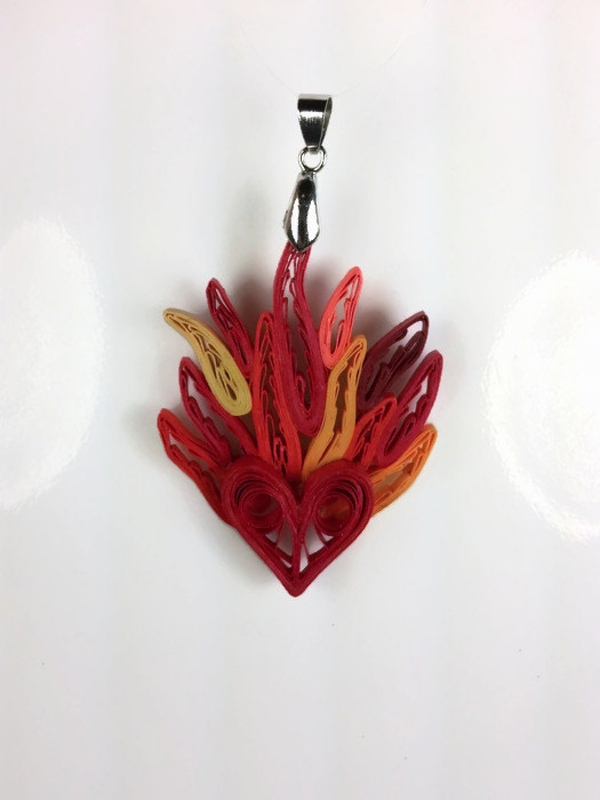 Also known as the sacred heart, it is handmade from quilling paper in an array of warm colors. 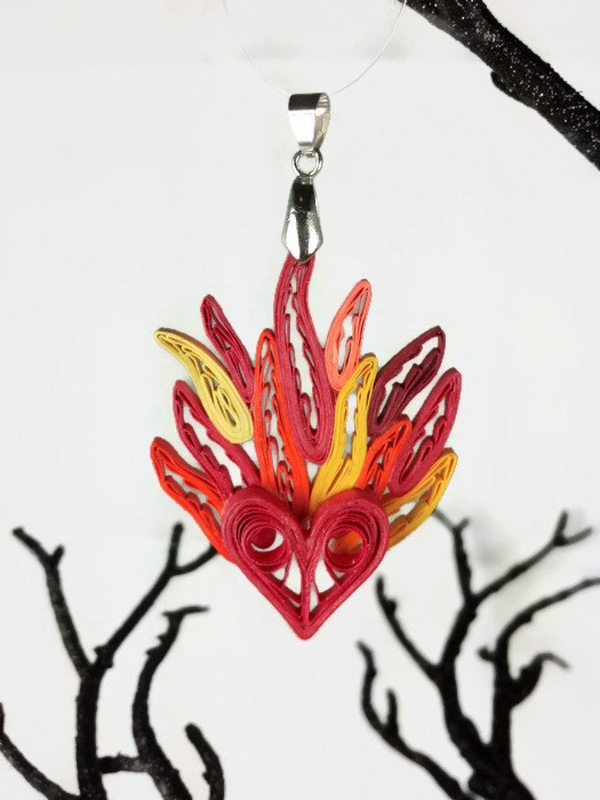 It is super unique and will make your love burn bright. It is coated in a sealant which makes it water resistant and UV resistant. It is super lightweight. 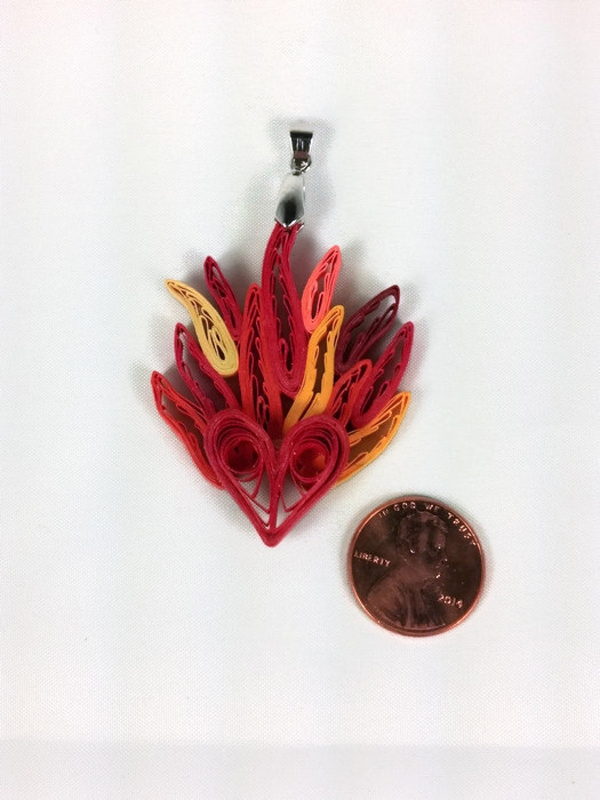 Please note that this listing is for the pendant ONLY, not a full necklace. 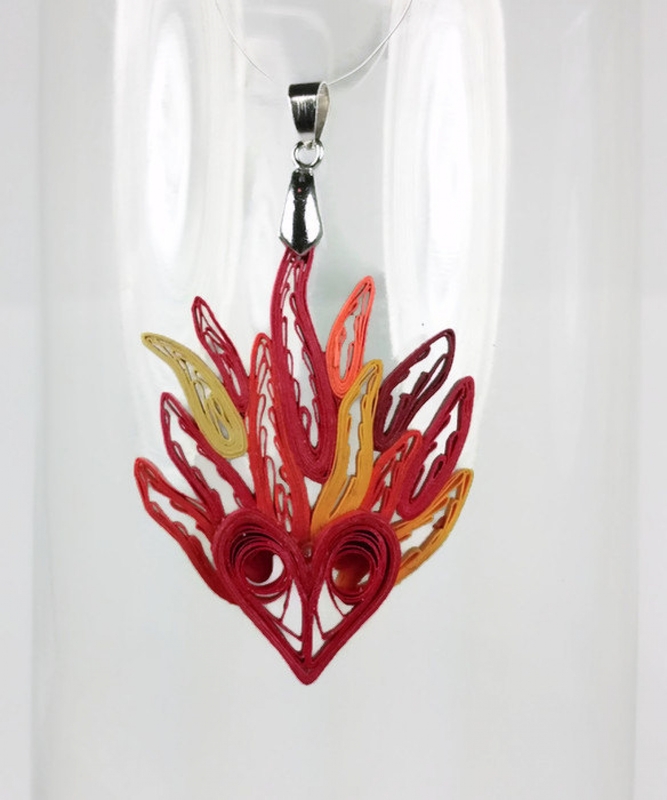 This pendant includes a pendant clasp.